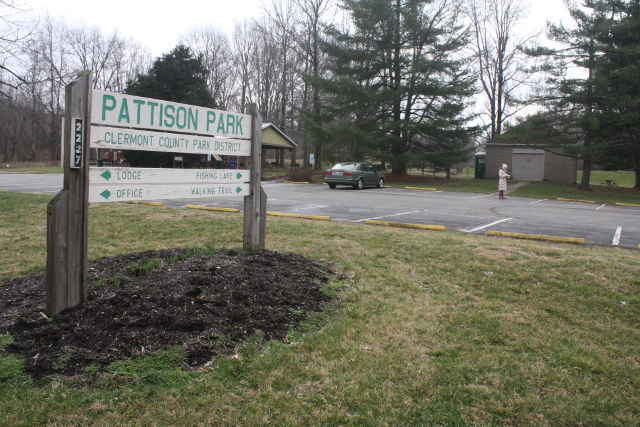 Pattison Park is a popular place for weddings and social events, but many people don’t know that it also has some of the best nature trails in the area. Located at 2228 U.S. Hwy 50, Batavia, OH, it is easy to access with the parking lot right off the road. The park extends to both sides of the road, with the lodge and trails on the north side, and picnic shelters, a playground, fishing pond, and trails on the south side. 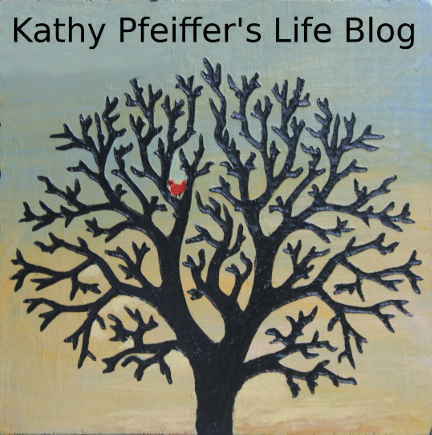 We walked on the south side on Sunday, March 6, 2016, at 11:30 a.m. The temperature was about 40 degrees, overcast, with no breeze to speak of. 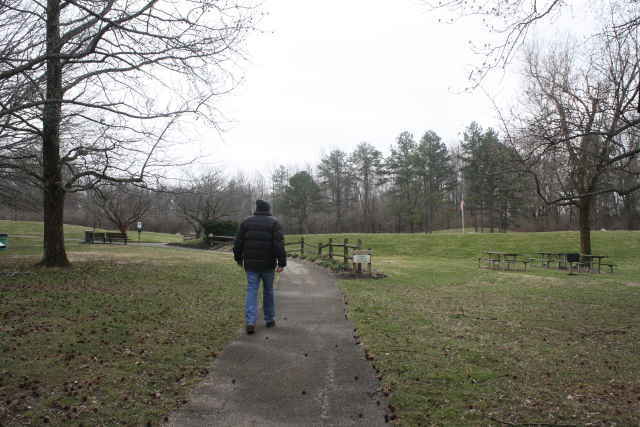 The path around the pond was paved with asphalt, and located near the parking lot for easy walking. We walked around the pond to the right where we found the beginning of a dirt trail headed to the right of the pond. 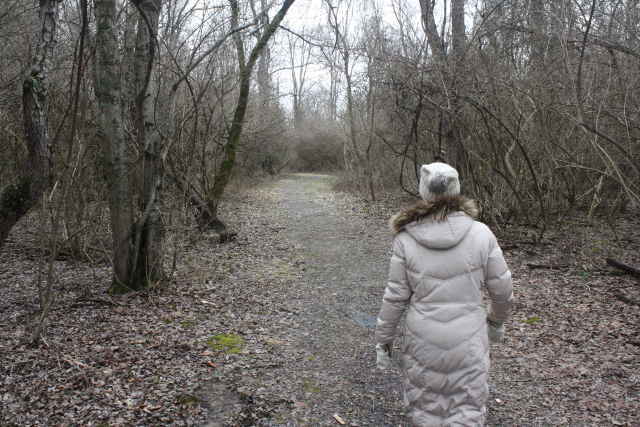 This trail immediately immersed us in a full wooded area, complete with song birds, trees and brush as far as we could see. Expecting a muddy path after recent rainfall, we were surprised to find very little mud. 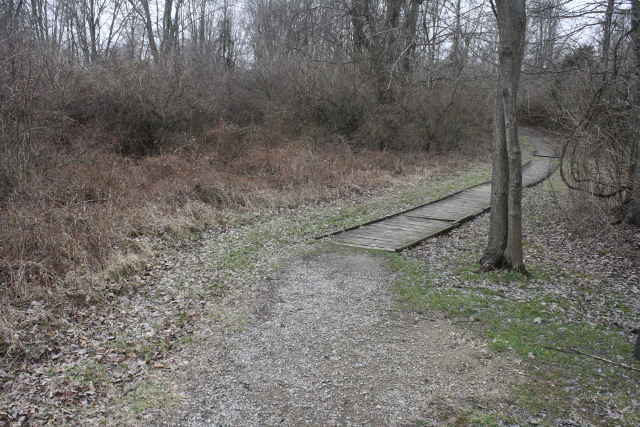 The trail was wide, mostly flat, with some gravel and wooden board walkways designed to keep walkers out of the mud. This trail circled behind the pond ending at the paved path around the far side of the pond. We then walked around the pond path to bring our walking distance to one mile. There was another trail off the right side of the driveway to the parking lot, and a longer trail on the north side of the park as well. Restrooms: A small brick building was labeled, ‘Closed For Winter,’ that we assumed had restrooms inside. There was one port-a-potty open for use. Traffic Noise: U.S. Highway 50 is a busy road, and you can hear loud traffic noise until you walk a little ways on the dirt trail. The noise decreased the farther we walked. Interesting Features: The catch and release pond had nice benches around it, and was a lovely spot. The trail was loaded with informative signs telling about the trees and other vegetation, however, they were significantly weathered leaving them yellowed and difficult to see clearly. The park was generally clean and kept-up well, including having large recycle bins in the parking lot for public use. 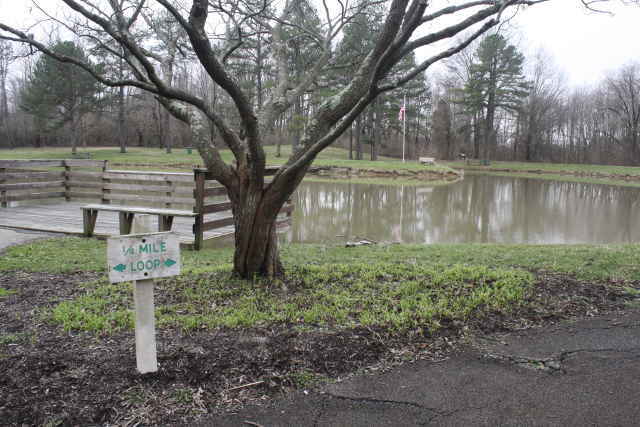 Historic Points Of Interest: An information sign tells the history of the park as the land and lodge were donated by Ohio Governor John M. Pattison’s daughter Aletheia Pattison. This donation was one of her many philanthropic projects, where she put her advantages to good use by dedicating her life to helping others, including helping refugees in Greece and Poland during the World Wars. 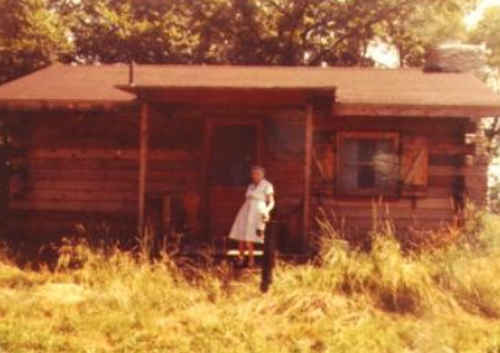 Her home is next to the lodge and is the park’s administrative office. The Pattison Foundation still provides funds for the park’s needs. Overall Rating: The trails were completely immersed in a wooded area, wide and well-kept, and easy to access from the road. You get a nice, easy, total escape into nature, making it an excellent place for a quick weekend walk. Very interesting! I never knew it was there!